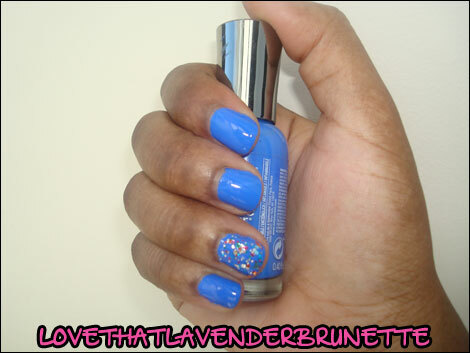 Strange And Pretty: Laquer Love: Sally Hansen Pacific Blue. 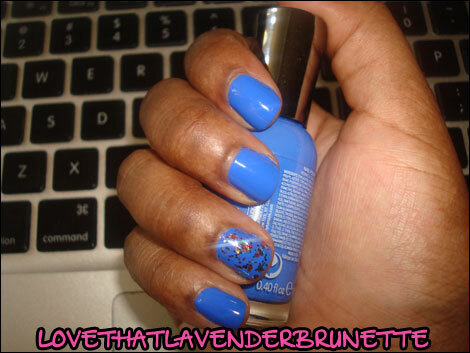 Laquer Love: Sally Hansen Pacific Blue. I've looked at Pacific Blue so many times in drugstores WITHOUT buying it, I've lost count. I always stopped myself with either "You already have something like that" or "You do not need another blue polish". But I finally decided I'd get it just for the heck of it. And it actually isn't like any blue that I own. It's more of a...periwinkle-robin's egg blue hybrid that I haven't seen much of. It's different, at least in my collection. My ring finger has Milani's Gems for the sparkle. What's a polish you've thought twice about getting, but fell in love with once you finally did?